ISO Energy Management “Standard” – ISO 50001 – Major Gains? – Framework for Facility Energy Management ? It has been estimated that ISO 50001:2011, Energy management systems — requirements with guidance for use, could have a positive impact on some 60 % of the world’s energy use by providing public and private sector organizations with management strategies to increase energy efficiency, reduce costs and improve energy performance. Daryl Liao, Executive Vice-President of Delta Group’s China region and Rock Huang, General Manager of the company’s ISO 50001-certified Dongguan factory. “Power consumption was also reduced by 37 % as compared to the 74.3 thousand KWH/million USD production value in 2009. We are confident that our goal of 50 % reduction in 2014 is just around the corner.” Rock Huang, General Manager of Delta’s Dongguan factory, added. At Schneider Electric’s ISO 50001-certified Paris head office, electric vehicles for business use by employees are charged via a photovoltaic roof above the charging station. Gilles Simon, Environment Manager, Schneider Electric France. “It is an International Standard, so it can be implemented in all our facilities and our customers’ facilities around the world,” replied Mr. Simon. “Since it is very close to EN 16001, the energy management systems at our Paris and Grenoble locations were easily adaptable to ISO 50001. It can also be easily integrated with other ISO standards such as ISO 14001. About 90 % of our facilities worldwide are ISO 14001-certified. Dahanu Thermal Power Station in Maharashtra, India, operated by Reliance Infrastructure Limited, the country’s largest private sector power utility enterprise, was successfully certified in conformity with ISO 50001 in January 2011. The 2x 250 MW coal fired power station, located some 120 kms from Mumbai, has been in operation since 1996 and is described as Reliance’s landmark facility in terms of energy conservation. It is also certified to ISO 9001 and ISO 14001. Shr-Kai Lin, Vice-President of Global Manufacturing, AU Optronics Corporation, Taiwan. Franz Josef Smrtnik, Mayor of the municipality of Bad Eisenkappel, Austria. Ferdinand Bevc, Energy Manager of Bad Eisenkappel. Impact Arena is the first MICE venue in Asia to achieve ISO 50001 certification, while two venues — The Bangkok International Trade and Exhibition Centre and The Queen Sirikit National Convention Centre — are in the process of obtaining certification. 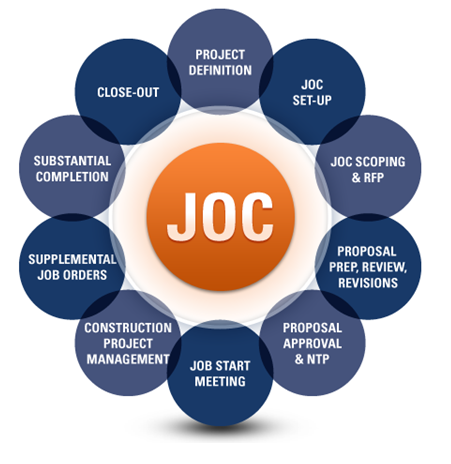 via www.4Clicks.com – Premier cost estimating and project management software for efficient construction project delivery – renovation, repair, construction: JOC, IPD, SATOC, IDIQ, MATOC, MACC, POCA, BOA. On April 19, 2011, 24 Federal agencies and departments released, for the first time, the Office of Management and Budget (OMB) Sustainability and Energy Scorecards. These scorecards enable agencies to target and track the best opportunities to lead by example in clean energy; and to meet a range of energy, water, pollution, and waste reduction targets. Through the OMB scorecard process, agencies are assessed on several sustainability areas, including: energy intensity; water intensity; fleet petroleum use; greenhouse gas pollution; green building practices; and, renewable energy use. Agencies are also evaluated on demonstrating continuous progress towards implementing additional statutory or Executive Order targets and goals reflected in their annual Sustainability Plans, such as green purchasing and electronics stewardship. The scorecard employs a simple evaluation system: green for success; yellow for mixed results; and red for unsatisfactory. Agencies are also evaluated on demonstrating continuous progress towards implementing additional statutory or Executive Order targets and goals reflected in their annual Sustainability Plans, such as fleet management and green buildings. CEQ and OMB will work with agency leadership to craft strategies for improvement and provide agencies with additional support and assistance as agencies begin to develop their Sustainability Plans for next year. Agency Sustainability Plans, which are required by EO 13514, are due in June, and are posted publicly on agency websites. Promoting the green design, construction, renovation and operation of buildings could cut North American greenhouse gas emissions that are fuelling climate change more deeply, quickly and cheaply than any other available measure, according to the 2008 report issued by the trinational Commission for Environmental Cooperation (CEC). North America’s buildings cause the annual release of more than 2,200 megatons of CO2 into the atmosphere, about 35 percent of the continent’s total. Rapid market uptake of currently available and emerging advanced energy-saving technologies could result in over 1,700 fewer megatons of CO2 emissions in 2030, compared to projected emissions that year following a business-as-usual approach. The report, Green Building in North America: Opportunities and Challenges, is the result of a two-year study by the CEC Secretariat. It was prepared with advice from an international advisory group of prominent developers and architects, sustainability and energy experts, real estate appraisers and brokers, together with local and national government representatives. Despite proven environmental, economic and health benefits, green building today accounts for a only small fraction of new home and commercial building construction—just two percent of the new non-residential building market, less than half of one percent of the residential market in the United States and Canada, and less than that in Mexico. “Improving our built environment is probably the single greatest opportunity to protect and enhance the natural environment. This report is a blueprint for dramatic environmental progress throughout North America—mostly using the tools and technology we have on hand today,” says CEC Executive Director Adrián Vázquez.